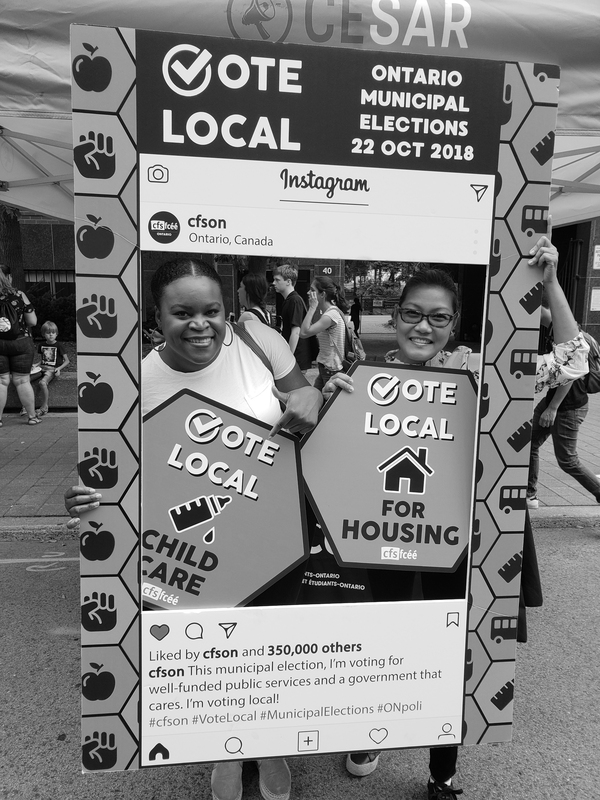 Vote Local is a Municipal Election campaign created by the Canadian Federation of Students-Ontario. The campaign aims to connect important student issues such as Reproductive Justice, Food Security, Climate Change, Child Care, Affordable Housing and Transit to voting at the municipal level. The Vote Local campaign also outlines what priorities students should be looking for in the upcoming election from candidates. For more information on specific issues please click the links below to download our leaflet and posters. The Vote Local campaign also informs students on where, when and how to vote through the Federation’s Student Guide to Voting. For more information on what voting looks like as a student, click the link below to download our Voter Guide. On October 22, get out and #VoteLocal!